Star Wars Men's Sunglasses Just $9.99! Down From $32.00! You are here: Home / Great Deals / Star Wars Men’s Sunglasses Just $9.99! Down From $32.00! Star Wars Men’s Sunglasses Just $9.99! Down From $32.00! Sears has these Star Wars Men’s Sunglasses on sale for $9.99 (Reg. $32.00)! Plus you can get FREE in-store pickup on orders over $35 or FREE in-store pickup! 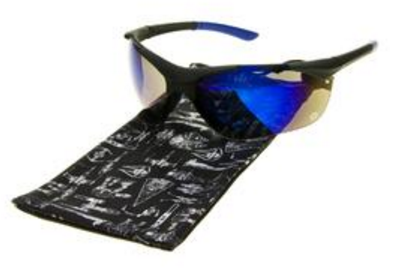 You’re geared up to lead the fleet in these men’s Star Wars sunglasses. These sport sunglasses will have you looking ready to pilot your favorite Star Wars aircraft with mirrored blue lenses set in sleek, black wraparound frames. Included with these sunglasses is a branded aircraft-print drawstring pouch for convenient carrying.